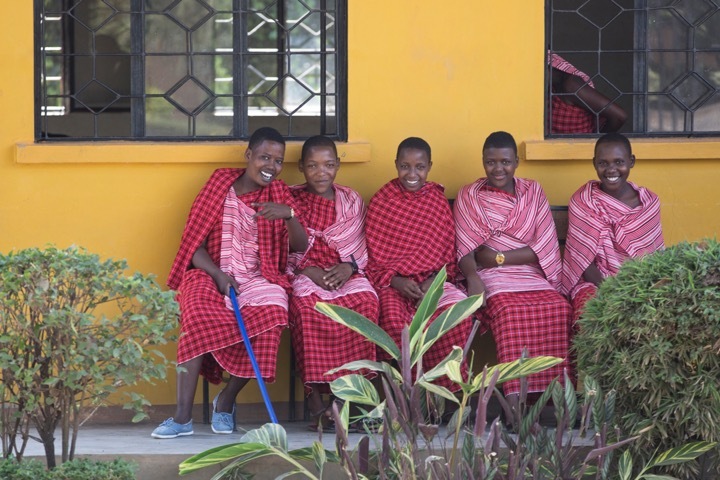 Catherine Coisasi dreams of becoming an astronaut and, as a student at the Maasai Women Development Organization (MWEDO) Girls Secondary School in Tanzania, she is taking courses in science and mathematics – her favourite subjects – to pursue this goal. And Catherine has a second objective. She wants to change the perception in her community that a girl’s value lies in being a wife and a mother, a belief that has forced many girls to drop out of school and marry while still children themselves. UNICEF estimates that 650 million girls and women alive today were married as children. But with the help of grass roots, women-centered organizations like MWEDO, and girls like Catherine, this has changed over a generation and young women today are less likely to be forced into early marriage than women who are now in their forties. In Tanzania, where Catherine lives, over 30% of girls aged 20 to 24 are married before their 18th birthday, and just over 5% are married by the time they turn 15. This compares to 40% of women now age 45-49 who were married by 18 and 8.5% by age 15. Yet as with all data, the aggregate does not tell the whole story. A deeper dive reveals that in rural areas rates of child marriage in Tanzania can be as high as 59%. This can be attributed to low education, high poverty and a desire to follow traditional cultural norms. Globally, the political will to end child marriage is gaining traction and there are targets in place to monitor the practice. The Sustainable Development Goals (SDGs) – a set of objectives adopted in 2015 to rid the world of poverty and hunger while ensuring gender equality, universal education, respect for the environment and stronger political institutions – calls on countries to end child marriage by 2030. Specifically, SDG target 5.3 requires countries to “eliminate all harmful practices, such as child, early and forced marriage and female genital mutilation.” And there are measurable indicators so that countries can assess their progress – and compare themselves to other countries around the world. Nationally, as part of its commitment to the SDGs, the government of Tanzania proposed new laws in 2016 to make child marriage illegal, but the court ruled them unconstitutional and the legislation has not yet been implemented. Catherine is lucky that her mother gave her the opportunity to attend secondary school, because this is the lynchpin to ending child marriage and giving all girls the chance to work towards their goals and dreams. Research from the World Bank suggests that “if universal secondary education were achieved, child marriage would be virtually eliminated.” Further, each additional year of secondary school leads to a 7.5% decline in child marriage. When girls are pulled out of school, they lose out on the protection that an education can provide. And on a larger scale, a lack of education also means huge losses in human potential in earnings, economic wellbeing, health and women’s capacity to advocate for themselves. We believe that every girl has the right to go to school to pursue her goals and to dream to become an astronaut – or whatever else engages her interest. 60 million girls is proud to support Catherine and other girls like her by partnering with the Stephen Lewis Foundation and MWEDO. To learn more about the 60 million girls Foundation, or to donate, please visit our website, and follow us on Facebook and Twitter.